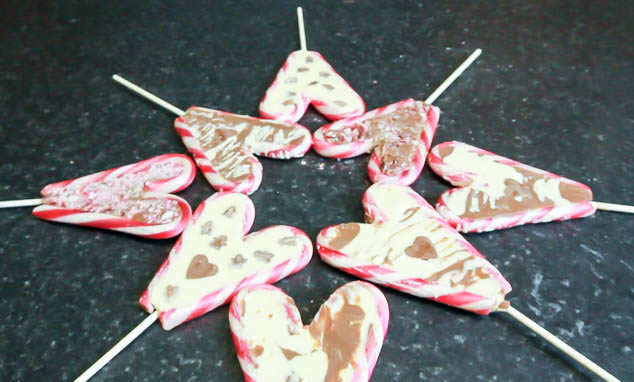 Over December I made some of these really sweet, heart shaped, candy cane lollies with a few different designs. They were so simple to make, looked effective and went down really well with everyone! They are so easy to do, I did these with my Rainbow Guide unit who are 5-7 year olds and they turned out great too. I did a very short, less than a minute long video, showing how I made them. Give it a watch and please let me know your thoughts! If you like it please give it a thumbs up and if you are new to my Youtube channel please subscribe. 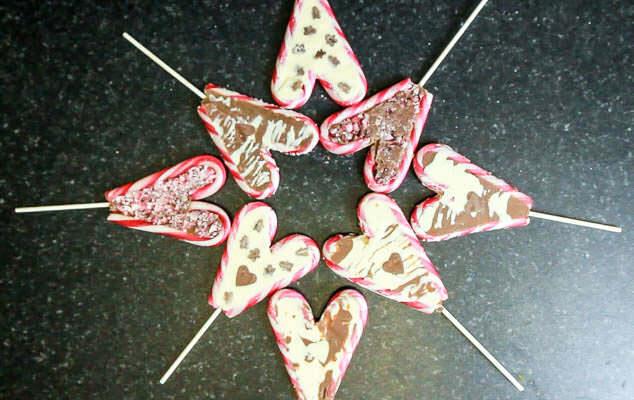 These candy cane heart lollies are so simple to make, position the candy canes into hearts on tin foil, position your design, pour on lots of melted chocolate, add a lolly stick and leave to set. I did three different designs, ones with chocolate hearts in the middle, ones with a crushed candy cane (as it had already snapped and couldn’t be used) and some with mini gingerbread men. They all worked pretty well and I used white and milk chocolate or a combination of both in different lollies. 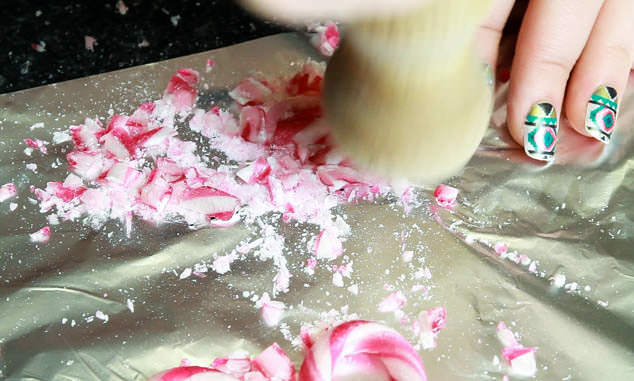 Candy canes really only appear at this time of year before they disappear again but at the moment are being sold off really cheap. My mini candy canes are from Asda but I’m sure many other shops will stock them. With Valentines day coming up these would be great as handmade gift ideas so get your candy canes in now before they sell out. What are your favourite handmade gift ideas? Will you have a go at making these? Link your bakes in the comments below!